Chicago’s bag tax has resulted in a decrease in the use of disposable bags since taking effect early last year, but a majority of shoppers still use at least one disposable bag per trip, a new study commissioned by the city shows. Before the 7-cent tax on paper and plastic bags went into effect in February 2017, more than 80 percent of shoppers used at least one disposable bag per trip, according to the study. That figure dropped to 54 percent in the year after the tax kicked in – a significant decrease, but not enough to erase the fact that more than half of Chicago consumers still use at least one disposable bag each time they head to the store. 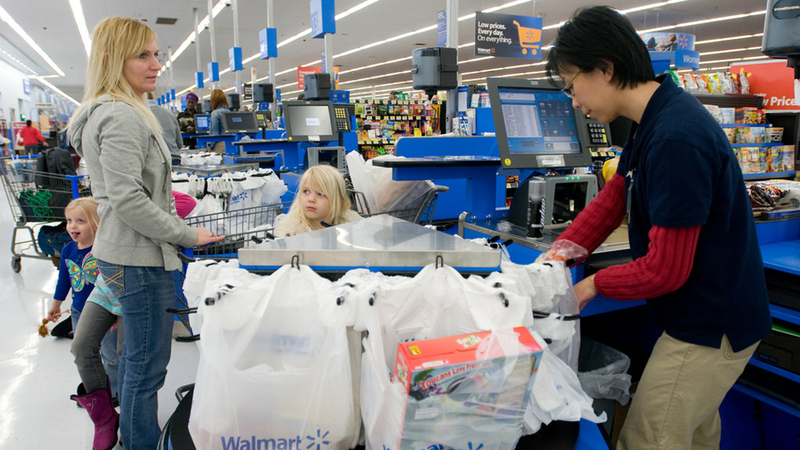 Poll: Do you bring reusable bags on shopping trips? That’s one of the key findings from a study released Thursday by researchers from the University of Chicago’s Energy and Environment Lab and New York University, along with the nonprofit consulting firm ideas42. The study, conducted on behalf of the city, involved documenting the bag use of nearly 25,000 consumers at large chain grocery stores in and around Chicago. Document: Read the full “Skipping The Bag” study. Researchers found that the number of disposable bags used per person decreased from 2.3 bags per trip before the tax to about 1.8 bags per trip since. The decrease was more drastic initially but has diminished somewhat over time, according to the study. Among shoppers who ditched disposable bags when the tax took effect, half switched to reusable bags, while the other half began using no bags at all. The new bag tax is part of a citywide ordinance intended to curb the use of disposable bags, which can have long-term environmental effects. Studies estimate that more than 100 billion plastic bags are used annually in the U.S. Although many plastic bags are recyclable, recent studies by the Environmental Protection Agency show that only a small percentage – just more than 5 percent – actually are recycled. Most plastic bags that aren’t recycled end up in landfills, where estimates suggest they can take up to 1,000 years to decompose. Do you bring reusable bags on shopping trips? Studies published by the National Tax Association have found that taxes like the one adopted in Chicago can lead to a reduction in the use of disposable bags; the overall economic and environmental impacts, however, are still being debated. Five cents of the tax goes to the city, and 2 cents goes to retailers. Chicago joined Washington, D.C., Los Angeles, San Francisco and Seattle as major U.S. cities with taxes on disposable paper and plastic bags.